Instant hot water taps, sometimes called ‘boiling water taps’, are changing the way we use our kitchens. If you’ve got one already, then you won’t want to do without it. Boiling water taps are no-fuss timesavers that make waiting for the kettle a thing of the past. They dispense instant boiled (or near-boiled) water for tea, coffee and other drinks by a simple lever or knob. Most boiling water taps even have a handy filter inside, so your drinks are not only quicker than they would be from a kettle – they’re cleaner and purer too! 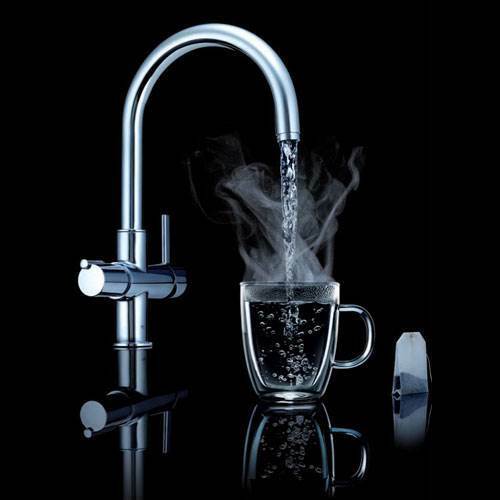 Call Nexus on 0116 274 4059 to learn all about the convenience of instant hot water from our range of boiling water taps, or visit our giant Leicester showroom. Our friendly product experts will help you choose the right one for your kitchen.